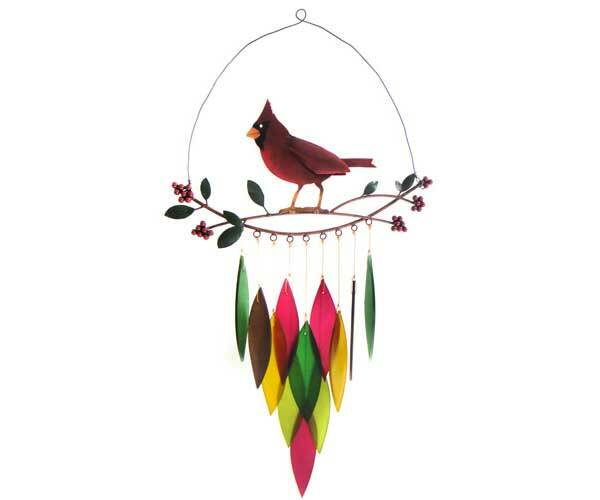 A charming addition to garden or entryway, this lovely metal and glass Cardinal Wind Chime features powder-coated metal with sandblasted glass chimes. Handcrafted of powder-coated metal with sandblasted glass chimes which make a gentle sound when the wind blows. A great addition to garden or entryway. Makes a great gift. 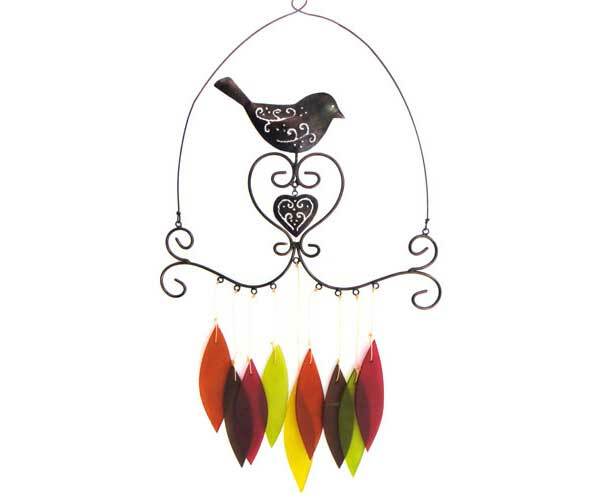 A great addition to garden or entryway, this lovely metal and glass Bird Wind Chime features powder-coated metal with sandblasted glass chimes. 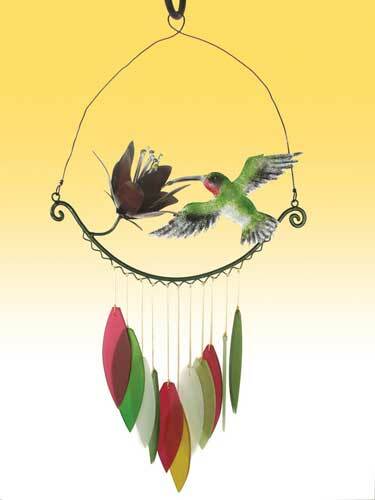 This lovely metal and glass Hummingbird Wind Chime features a realistic hummingbird eating nectar from a red flower. Hanging glass chimes make a beautiful sound in the breeze. Dimensions: 11" x 4" x 11"